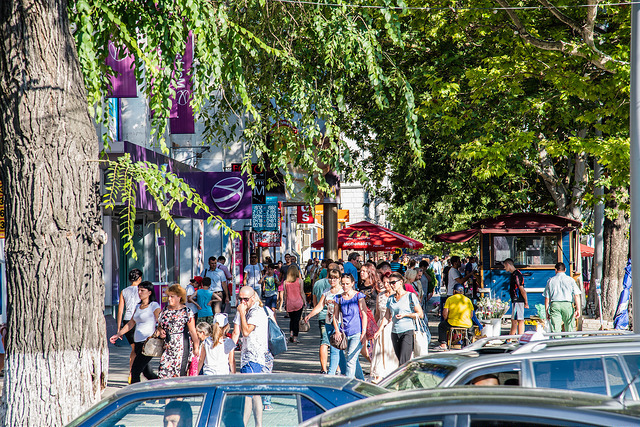 The Mayors for Economic Growth initiative supports cities in Armenia, Azerbaijan, Belarus, Georgia, Moldova and Ukraine to facilitate growth and job creation by improving the local business environment, stimulating entrepreneurship and attracting investment for sustainable economic development. Share know-how and best practices to motivate local stakeholders, demonstrate new approaches at work, and sustain local pro-development policies and actions. Within a year from joining the initiative, signatories of Mayors for Economic Growth (M4EG) are asked to submit a Local Economic Development Plan, in which they outline concrete measures to reach their objectives. The M4EG initiative also has a grant component funding “pioneer projects”. The Call for Proposals targets cities that already have a Local Economic Development Plan, consistent with the M4EG Concept. Cities selected will become the "Pioneers" of Mayors for Economic Growth by implementing pilot projects capable of showing how concrete actions included in the Plans can be realised on the ground.